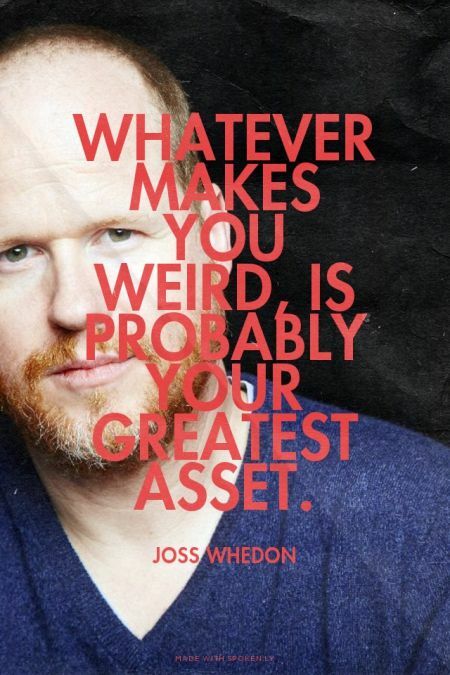 Joss Whedon said it. It must be true. Quest time. How do you even find your weirdness? What if you don’t think you’re weird? Is not being weird weird? You’re probably worried now that you don’t have a great asset. Have no fear! Take advice from cats. 1. 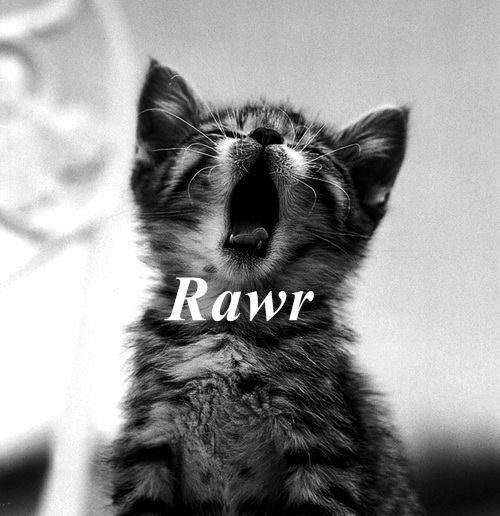 Embrace your inner, wild animal. Don’t let anybody intimidate you! Their opinion doesn’t matter, anyway. 2. Smile. Embrace your weird smile or laugh or giggle. Whether or not you think it’s weird, you’ll make others smile, too. 3. Sleep. Nap. More. Anywhere. Not only will you look weird, but you’ll encourage others to embrace weird sleeping times and locations, as well. 4. Transport yourself. Does that even make sense? Anway, maybe how you get places helps define who you are. You can be “that guy” who drives a golf cart or “that girl” who gets around in a wheelchair or “that kid” that only hops on one foot everywhere. Oh, you’re so cool. I mean, weird. If anything, at least while you are busy getting around, allow yourself time to ponder and to consider who you really are. 5. Clean. Cleanliness is next to weirdliness, right? Maybe not. But it can be! Whether you like to clean or not, doesn’t matter. It’s how you clean that matters. 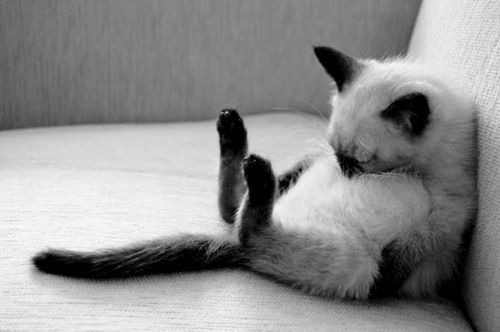 Cats clean themselves with their tongues. Now, it would be really weird if you did that. However, I’m suggesting something more like listening to certain songs when dusting or doing yoga when doing the dishes. Do your thing. Do you have any tips of how you find your weirdness ? The kitty pics are so cute!